From top to bottom, no team went through quite as many changes as the Tampa Bay Rays have this offseason. The teams first casualty came during the MLB Playoffs, when Rays general manager Andrew Friedman announced that he was leaving Tampa Bay and joining the L.A. Dodgers front office as the President of Baseball Operations. Frustrated with the future of the Rays sans Friedman, manager Joe Maddon elected to use his opt-out clause later that month, effectively ending his tenure at the helm in Tampa Bay. It didn’t take long for the quirky manager to find a new landing spot, however, as the upstart Chicago Cubs gave Maddon a 5 year, $25 million deal soon after his leave from Florida. To replace Maddon, the team hired former major league catcher and AL East rover, Kevin Cash. Cash, who spent the past few seasons as the bullpen coach on Terry Francona’s staff in Cleveland, has long been thought of as one of the games best up-and-coming managerial candidates. On the field, most of the Rays transactions seemed to follow the blueprint of a rebuilding club. Under new general manager Matt Silverman, the Rays shipped 2012 Rookie of the Year winner Jeremy Hellickson to the Arizona Diamondbacks, in exchange for minor league shortstop Andrew Velazquez and outfielder Justin Williams. After missing most of the season with elbow problems, Hellickson posted an ERA of about 4 and a half in just 13 starts. Tampa Bay continued to gather prospects after another November trade saw the team land a pair of right handed pitchers in exchange for Joel Peralta and minor league lefty Adam Liberatore. The team continued to trim the roster fat in November as they cut Jose Molina and infielder Sean Rodriguez. In December, the Rays made their biggest splash of the offseason as they hooked up with the Nationals and Padres on a three-way trade. 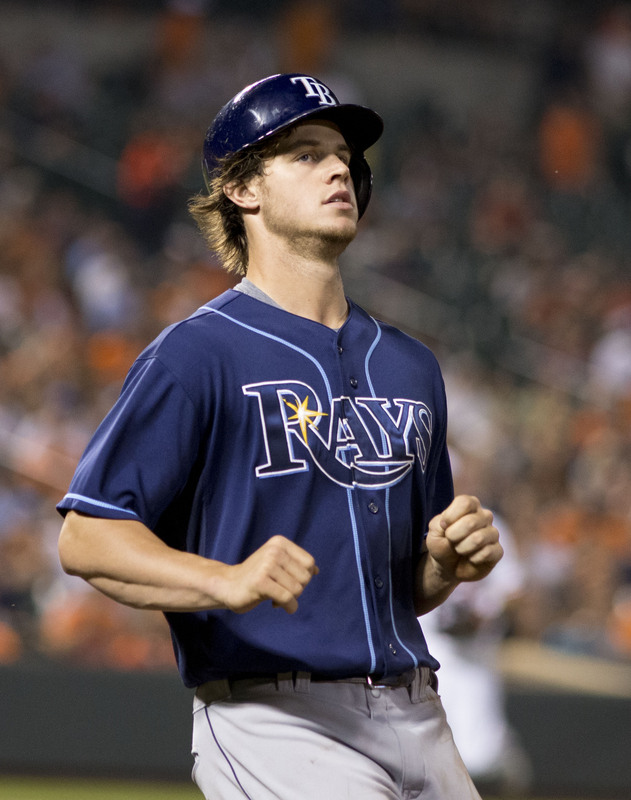 The trade saw Tampa Bay ship Baseball America’s former number one prospect Wil Myers to the Padres along with back-up catcher Ryan Hanigan. The nine player trade netted the Rays Washington’s top outfield prospect Steve Souza, major league backstop Rene Rivera, as well as a some lower level minor league talent. Souza, 25, is believed to have a similar skill set to Myers, but has only played 21 games at the major league level. The Rays’ series of moves this offseason won’t help a struggling fanbase put butts in seats, and with the AL East as wide open as it’s ever been, who knows if this was the best time to rebuild. While Tampa Bay does still feature some good young talent on their major league roster, along with one of the games best farm systems, they seem ready to punt in 2015. Tweet of the day: But what about Pedro? My HOF ballot: Nomar, Nomar, Nomar, Nomar and Nomar.